He was a high school drop out from Manhattan’s lower east side, who went on to become one of the most famous and well respected stand-up comedians of all time. Alan King’s story reads like the quintessential show business dream. He has gone from telling jokes for a dollar a night, to numerous appearances on The Ed Sullivan Show, to his status as one of the entertainment world’s elder statesmen. King has lived enough for three lifetimes. He is also well respected as a political activist, businessman, and philanthropist. Now in his 70’s, he isn’t slowing down a bit. He is still active in show business after more than five decades of making us laugh. 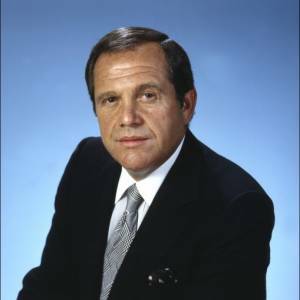 Alan King was born Irwin Alan Kniberg in New York City on December 26, 1927, the youngest of eight children. After living for a time on Manhattan’s Lower East Side, the family moved to another tough neighborhood, the Williamsburg section of Brooklyn. He grew up in a family environment which fostered his interest in storytelling, but it was the streets of New York that pointed him toward humor. Boys learned to defend themselves early on the mean streets of Brooklyn, and if it was not with their fists, it was with humor, and King had an answer for everything. The audience loved it, and King was on his way. King’s act was street-wise, growing out of middle class frustrations. Smart, accessible, and funny, everyone could relate to his humorous stories. He was a regular on the club circuit from New York to Las Vegas. He became the contemporary of the very men he idolized, Milton Berle, Danny Thomas, Jack Benny, and he hobnobbed with superstars like Frank Sinatra, Dean Martin, and Sammy Davis Jr. His interests were greater than just show business, and he became known as a political activist, campaigning for John and Robert Kennedy. King was close with Robert Kennedy, and accompanied Kennedy’s body to Washington D.C. after he was assassinated in 1968. Another of King’s roles, which is little known, is that of philanthropist. He is the founder of the Alan King Diagnostic Medical Center in Jerusalem, he started a scholarship for American students at Hebrew University, he is an advocate for the Nassau Center for Emotionally Disturbed Children, and he is on the Board of Trustees at the Long Island Jewish Medical Center. King has also founded a program called Laugh Well, which grew out of his own experiences with oral cancer, and is an attempt to use laughter to help hospital patients who are trying to overcome their own fears. The original plan was to perform in children’s hospitals and homes for the aging, but with these events now being broadcast to hospitals all over the country, Mr. King’s program has been able to reach as many as 100,000 people a year. After more than a half-century of jet setting, he lives quietly in Long Island with his childhood sweetheart, Jeanette. With the gifts Alan King has given us, both as an entertainer and a philanthropist, we are sure to reap the benefits of his generosity for years to come. Mr. King passed away on May 9, 2004, the result of lung cancer which was a second primary after his oral cancer. Second primaries after the original oral cancer unfortunately are too common with this disease. Mr. King had spoken with OCF on several occasions regarding assisting the foundation in awareness related events. He was always generous with his time, and a gracious individual to deal with. Not mentioned in his bio above was the fact that even into his 70’s, Mr. King continually worked and was be actively involved in film and theater. He was an individual of seemingly boundless energies, and achievements. Some of his best film work was is the 2002 release of “Sunshine State” directed by John Sayles, and in the 2004 release “Mind the Gap”, written and directed by Eric Schaeffer. His genuine kindness, and humor drawn from life’s annoyances and social issues, will be missed by many.